Writing a good, attractive and persuading essay is not only essential in assuring a college student good grades but also helps them develop analytical skills that they will use both in their school life and in their careers. This is especially if analytical and persuasive writing skills are needed. So, how to start an academic essay remains a burning question among most students. The aim of any essay is convincing the reader on a given topic based on the provided evidence. The beginning is therefore very important in ensuring that it attracts and maintains the attention of the reader. Apart from introducing the essay, the beginning should also lead the audience in a given direction. Ensure to read and understand the provided instructions. This is very crucial to ensure the essay in general stays within the jurisdiction of the instructions. 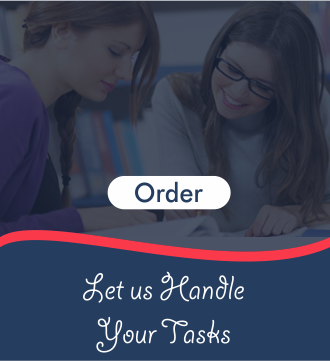 As you go through the instructions ensure to take note of all the details such as the formatting style required, the type of essay required and if it is you to choose on the topic or if it is given. If possible it is advisable that you briefly write the instructions in order as they will act as a guide throughout the writing process. It is also important to inquire in case you don’t understand any of the instructions. Extensively research on the topic. Once you have understood what is required of the essay, it is now time to research on it far and wide. Ensure to use all the available resources that will give you credible information on the essay. Take down notes from the source and also the source details that will help you in referencing it. Make an introduction to your essay. This brings the reader to speed with what the essay is about. It provides the approach the essay will take in the presentation of the intended content. It introduces the reader to the context of the essay. Help the readers focus. In this, the writer helps the reader know what problem the essay will be solving. This can be done by providing a fact followed by a question that introduces the niche the essay will be solving. This can then be followed with part of the answer the essay will place its argument on. This helps the reader focus on solving the problem. It prevents confusion as they read through the essay. Do not lose the reader. The reader’s understanding of the discussion is important throughout the writing of the essay. It is however very important at the beginning as it ensures the reader is not lost which in turn makes them lose interest which would end up costing you marks. To achieve this, explain anything that requires the same. This will help be on the same page with the reader. The explanation or summary should, however, be brief to avoid preempting the essay content and maintain the delicate attention of the reader at the beginning. Finalize with the thesis statement. The thesis is perhaps the most important step on how to start an academic essay. It should be included in the last sentence of the introduction paragraph. The thesis acts as a brief statement that summarizes the argument of the essay. In most cases, the statement will earn you marks. Mind the length. The length of the introduction depends on the overall length of the essay. In most cases, it is recommended that the introduction be ten percent of the essay. This prevents preempting and also providing inadequate information. The order of the contents of the introduction is not fixed but can is dependent on the writer. Mind your grammar. When writing the introducing paragraph, bad grammar is not tolerable as it will make the reader lose confidence in you. Make sure that there are no grammatical errors in the introduction. Citation. In most cases, the first paragraph acts as a general introduction to the topic. As such, there is no much need to cite sources in the introduction. However, it is a requirement that you should cite and reference any source to any statistical fact presented. How to open your essay. The paragraph that follows the introduction is also important. The paragraph could introduce a given well-cited fact that stays within the focus of the essay. It could also involve a funnel introduction where you start from generally related points and narrow down to specific ones. The energy of this paragraph together with the others should match that of the introduction or be even better to avoid disappointing the reader. After completing the essay. After presenting your argument throughout the body and supporting them with valid evidence, which is then well cited and referenced, it is possible that the direction of argument taken within the body differs from the one introduced at the beginning. It is therefore important going through the introduction paragraph again to ensure that it is in harmony with the body. Following these tips on how to start an academic essay, you are assured of attracting and maintaining your lecturer’s attention as they read through the essay. You could consider consulting a cheap essay writing service if you continue being stuck on how to start an academic essay.